Jeremy Gordon shares scaling strategies to help coaches ensure their athletes are getting exactly what they need from each session. Safely scaling workouts for a wide range of athletes without sacrificing attention to non-scaled athletes—it’s an essential CrossFit coaching skill. Effective scaling at an affiliate demands an understanding of CrossFit programming theory, awareness of your athletes’ capabilities and limitations, and quick application of many possible scaling methods. It’s also important to understand why we scale CrossFit workouts: CrossFit workouts are scaled to preserve the intended stimuli despite athlete limitations such as experience, injury, illness or range of motion. This is a great article and I can tell you put a lot of time into writing it. I hope it gets a good amount of discussion on here. I really like that you use range of motion as a scaling method, not a standard. As an athlete, you have three rules you have to abide by at all times: 1) Midline stability. 2) Loading order. 3) Laws of torque. At no point are those rules to be compromised. When the athlete is obeying the three rules, I add those movement factors in to see where they break. If the athlete is breaking, then I reduce the movement factors. I wrote a post on our site called CrossFit - by, The Champions Club that talks about it in more detail. Carl Paoli's book free+style really helped me see that. Wow. Great article on scaling. When I'm coaching, I'm going to be sure to refer back to this. Thanks for the journal and it is very helpful for me. I'm sorry but I don't understand why shouldn't increase volume to compensate for the reduced complexity. I think the athlete could accumulate more reps to defeating the purpose of scaling reps (as you said page 4). Would you please comment about this? I believe he said that because a proper scale is just as difficult as the real thing. If an athlete needs to be scaled, 30 box dips should feel just as difficult as an experienced athlete's 30 ring dips. If not, then one of the two sides are off. Please read the comment below from the author, Jeremy Gordon. There are very few absolutes in scaling (and life for that fact), and in hindsight, using the phrase “do not increase volume just because” comes across as “never increase volume,” so thank you for asking for clarification. If a coach is reducing complexity, it is a fairly good assumption that the athlete being scaled is a beginner or borderline intermediate (as defined in my paper). Yes, there are times when a more advanced athlete may scale complexity, such as at extremes of complexity for the sport of CrossFit; e.g., putting backflips in a workout, or if the athlete is injured. However, the statement in question addresses the assumption that we generally scale complexity for less experienced athletes. The primary rhabdo risk factor coaches can control in the gym is the exposure to volume of eccentric movements. Therefore, if my Rx WOD has a total of 60 ring dips and I scale an athlete to box dips, then I would recommend not increasing reps. There are a few caveats to consider. If the initial volume of reps for the complex movement was low (like a total of 10 muscle-ups in a WOD), then increasing volume of scaled movements is not necessarily risky, assuming you control total exposure—what is “controlled” can be debated, but I provided some rough rep guidance in the "Competitions" section of my paper. For a WOD with 10 muscle-ups in it, I might expose a scaled athlete to 3 jump-assist bar dips per muscle-up rep. This controls total exposure to 30 reps of each movement (and each is in a different plane of motion). Another example is rope climbs. If I have 10 total rope climbs in a WOD, then I may have scaled athletes do 2-3 rope “get-ups” per rope climb. The other scaling elements to consider with your question are the time domain and metabolic pathway. The scaled movement should be nearly as challenging for the scaled athlete as the Rx’d movement is for the Rx athlete. If we over-zealously increase reps in a scaled movement or we reduce complexity too much, we risk changing the primary metabolic pathway for the WOD and, therefore, one of the programmed intents of the WOD. This is introduced as "progressive scaling" in the “Responsible Training” section of the "CrossFit Level 1 Training Guide." Coaches should avoid progressive scaling; i.e., continuously reducing load or complexity (mid-WOD) to allow the athlete to work without breaks. As a rough guide, if the Rx athlete needs to break the movements, then so, too, should the scaled athlete. 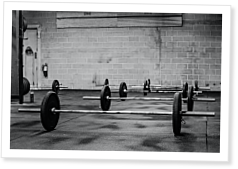 I’ve included 2 links to CrossFit Journal articles covering Rhabdo. Thank you again for your question and for this opportunity for me to clarify.